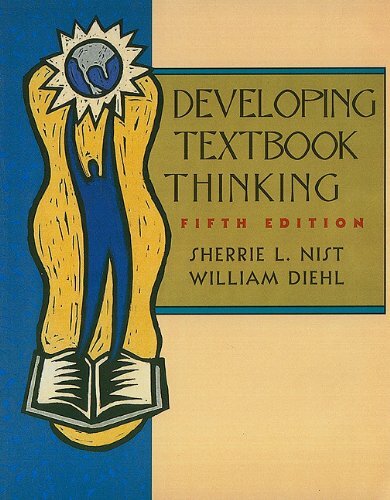 The Fifth Edition of Developing Textbook Thinking continues to guide mid- to high-level developmental students through a series of highly successful strategies based on the authors' own BCA system. A four-step process, BCA represents Before Reading, Staying Connected During Reading, and After Reading (Studying and Reviewing.) General strategies for reading and studying are taught in the context of the BCA system, including how to find the main idea, identify supporting details, and take lecture notes. Part II: A Scenario to Write About and Discuss The Reading Journal: Becoming More Aware Key Ideas Selection from a Magazine: ""Blood and Money"" Selection from a Magazine: ""Prisoner of Pain""